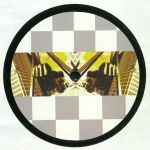 Review: Tony Ollivierra is an underground hero from Detroit, who in addition to releases as Ibex on his Ibex Music and Northside District imprints, had some respected editions on the likes of Planet E around the turn of the millenium. He donned the DJ Slym Fas alias around 1996 - 1997, when he produced three EPs which have been much sought after in recent years. These unearthed jams come courtesy of STEP: the new vinyl-only label from the founders of PETS - Catz n Dogz. From the bleepy and lo-slung "Motion Activation", the emotive hi-tech soul of "Amphibious (Green)" or the epic futurism of "Functional Apparatus" calling to mind the work of local legends such as Derrick May or Juan Atkins. Review: Prolific Parisian producer DJ Steaw has found a great place with an "Ocean View" and he's invited us all to hang out. Accept the invitation and you'll first be treated to a panoramic, sunset-ready chunk of dreamy and sun-kissed deep house, whose picturesque chords and spacey musical elements come underpinned by a ballsy, bass-heavy groove. By the time the stylus gets to the low-slung, warehouse-friendly "Go Now" - the sort of track that Junior Boy's Own would have released in the mid-'90s - the party is in full swing. 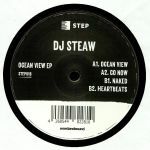 Steaw continues to soundtrack a stunning beach-side party via the warmth and gentle breeziness of classic deep house cut "Naked", before slinging on some sparse, intergalactic deep electro ("Heartbeats") as the sun starts to slowly rise above the becalmed Atlantic sea.